Another critic had many bad things to say about the film. One critic missed Guillermo del Toro’s vision. “You will never realize how much you need Guillermo del Toro in your life until you see the reboot of Hellboy,” said Christy Lemire of RogerEbert.com. This critic compares the reboot to a high school production. Ouch! “Comparing it to Del Toro’s 2004 original and 2008 sequel is like making an analogy between a Broadway production and a high school stage show,” said James Berardinelli of ReelViews. Now there’s a report from The Wrap saying that there was drama behind the scenes involving director Nail Marshall and producers Lawrence Gordon and Lloyd Levin. Could this be the reason why the critics aren’t praising the film? Well, Levin’s attorney says that the claims are false. The producers have reportedly been controlling on the set to the point where they gave different directions to the cast. David Harbour was said to have left the set due to Marshall wanting more takes. Another report involved the look of a tree, where Marshall wanted it realistic and the producers wanted it asymmetrical, with the producers winning in the end. 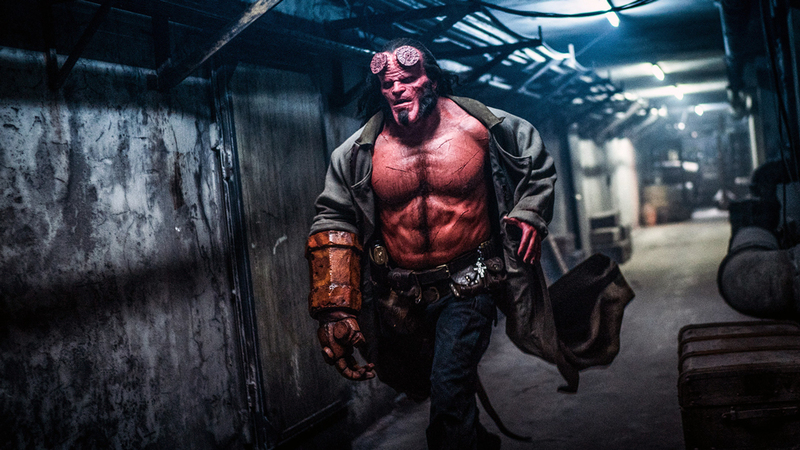 Are you still looking forward to watching the Hellboy reboot? Let us know! The post Hellboy reboot is getting slammed by critics, plus reports of drama on set appeared first on Nerd Reactor.